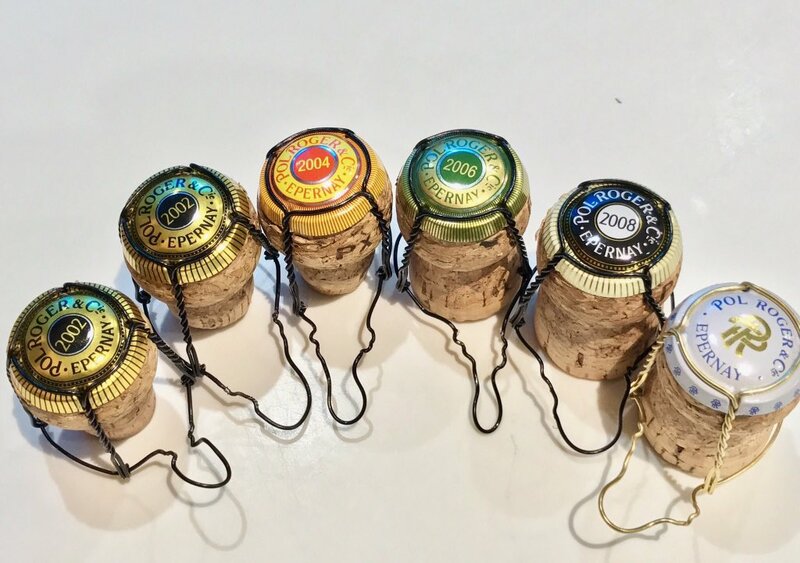 Pol Roger: ’02, ’04, ’06, ’08, who do we appreciate? 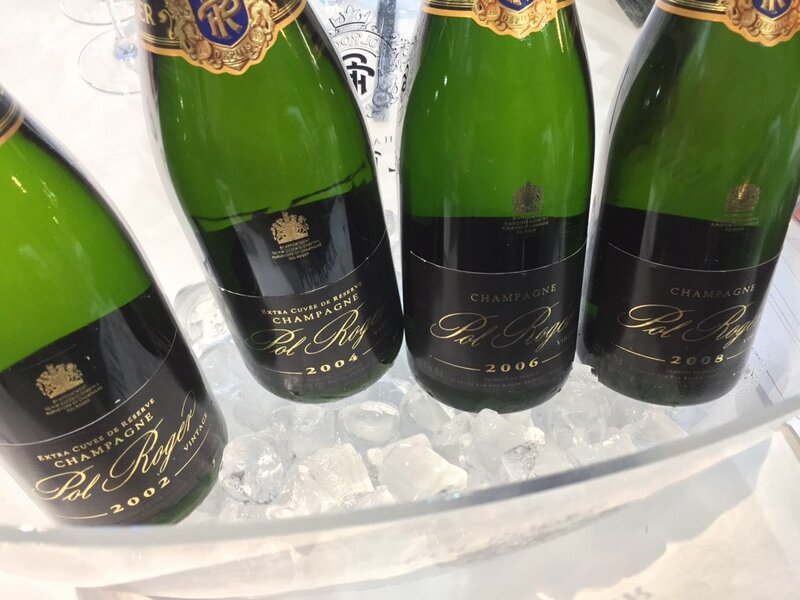 Pol Roger launched their latest release, Brut Vintage 2008 just three weeks ago. 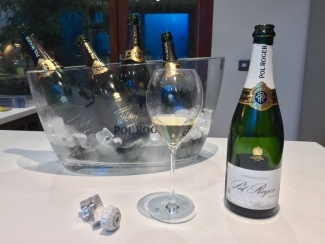 This is a vintage already shaping up to be one of the all-time greats and Pol Roger are firm supporters, claiming it to be one of their “greatest ever years”. So what better way to assess the hype than a blind vertical tasting of the last four vintages of Pol? We assembled the previous four releases of Pol Roger Brut Vintage – 2002, 2004, 2006, 2008 – and the house NV for a blind tasting comparison. 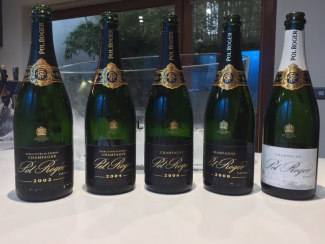 Alongside TFB, the tasting panel included Champagne expert Simon Stockton, Frederick’s restaurant manager Matt Segal and Pol Roger’s Sales Manager George Prideaux. As standard, the Champagnes were served blind in pairs and were rated and identified (or at least attempted to be) by the panel throughout the tasting, before a grand reveal at the end. Once the panel were settled and we were certain no-one was peeking, the first two Champagnes were poured and served. Almost identical in colour but displaying very different characteristics, the panel were surprisingly quick to label a vintage to each. The first was fresh and aromatic, with a balanced acidity we’ve come to expect from the 2006 vintage. 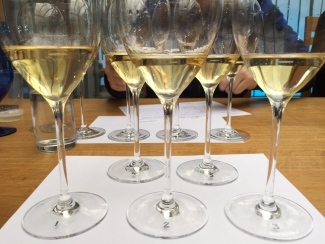 Champagne number 2 had an abundance of fruit and an aged complexity, yet was youthfully restrained at present and clearly a world-class Champagne… everyone present seemed convinced this must be the 2002 vintage. finally drank enough Pol Roger to easily identify vintages! The final two Champagnes however, put us back in our place. Based on our previous predictions, we knew the final two were the likely the newly released 2008 and the house non-vintage – but distinguishing which was which was much harder than we anticipated. They both had a bright, lively fizz indicative of younger Champagnes. Number 4 had an abundance of rich apple fruits implementing the 2008 vintage, however number 5 had the bright acidity we’d tasted previously at the launch of Pol 2008. Number 5 was definitely the preferred Champagne, really developing with time in the glass and allowing the exotic fruit flavours to shine through – a luscious, racey acidity making this our favourite of the day. In the end, the panel were divided – TFB took a punt on number 5 being the 2008 based on its acidic ripeness, whilst the youthful qualities of number 4 perhaps implemented the non-vintage? Once the issue had been thoroughly debated and we’d all changed our minds three or four times, the panel were put out of their misery and the identities were revealed. Indeed, the first three Champagnes were as predicted: 2006, 2002 and 2004, respectively. However, the last pair had stumped us all – the acidic, exotic fruit abundant and rich apple tasting number 5 was the non-vintage, whilst the youthful, lively number 4 was the newly released 2008 vintage. It was difficult to hide our surprise – what a showing from Pol Roger Réserve NV! One of our favourite non-vintages, we’ve long sang its praises but standing up to vintage competition like this and performing at the top is an achievement not to be overlooked. We later discovered the bottle of NV tasted was based on the 2012 vintage: a reportedly ripe season with high expectations. That said, the Champagnes all scored well; the 2008 was still deliciously youthful and packed full of fruit, given time to develop this has world-class potential. The 2002 is also worth a mention.. we never expect a poor performance from a vintage of this status but it really was outstanding. Still a bit restrained in character, this will just continue to get better and better. Overall, it was a hugely revealing afternoon. We have no doubt the 2008 vintage will produce remarkable Champagnes to rival the now legendary 2002’s and we are keenly anticipating the first prestige cuvée release. But the star of the show was no doubt the non-vintage. Does this tell us something about the potential of the 2012 vintage? If only all the Champagne houses would follow Krug’s lead and provide more information on their non-vintage blend..
Buy all the above Champagnes and view our complete Pol Roger range here.